Think pet photography is something that was invented with Instagram or possibly LOLCats? Hardly! People have been snapping pictures of their pets since the camera was invented; after all, man’s best friend is also man’s best subject. 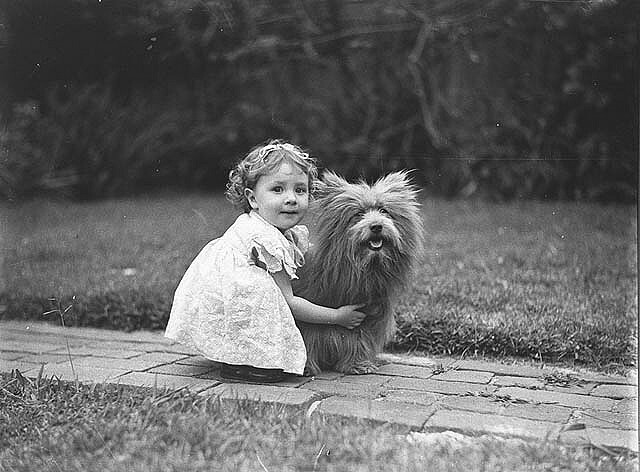 To celebrate National Pet Week (and Throwback Thursday), we dug through the archives for some vintage pet photography that proves that for as long as we’ve been looking at the world through a lens, we’ve been focusing that lens on our four-legged friends. Australia is really great at hanging on to their old photos. 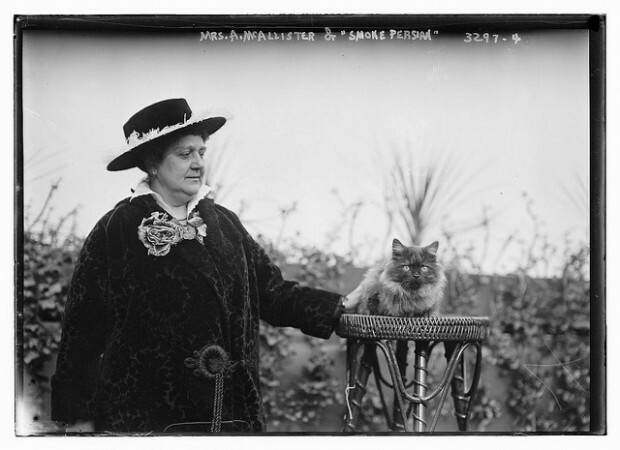 This one, from the Australian National Maritime Museum, has loads of information, both about the photo and the photographer, Sam Hood. “Between 1900 and the 1950s, Sydney photographer Sam Hood took hundreds of photographs of ships and their crew for souvenirs of their visit or to send home to families. This photograph depicts a baby and a dog sitting on top of a deckhouse of a ship. 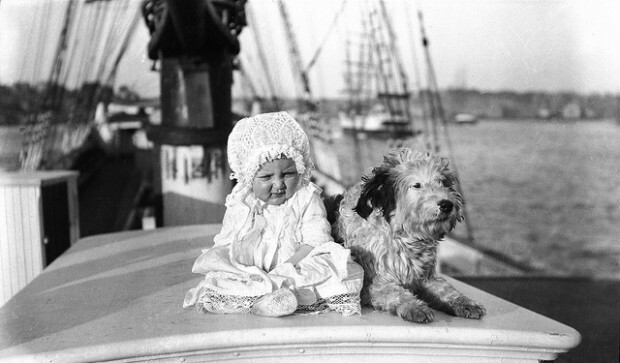 The child may have been part of the captain’s family living on board the ship, which was not uncommon in this era. 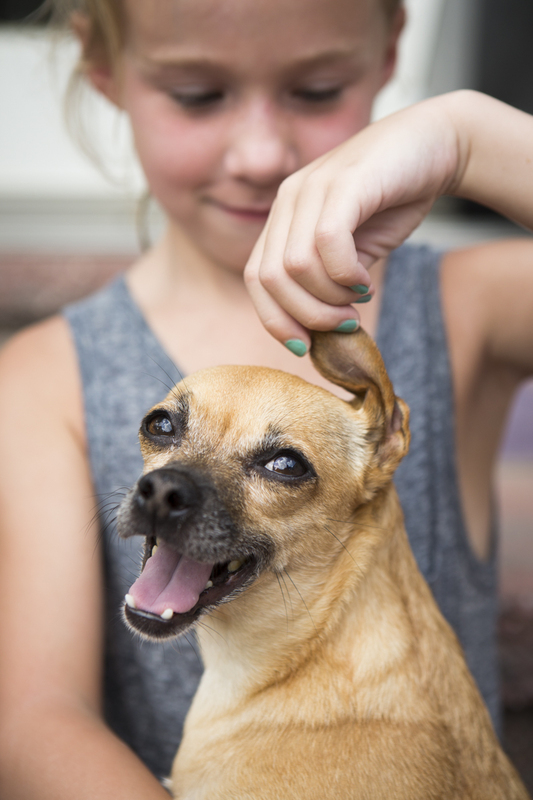 Looking for some more expert advice for how to include pets in your family photography? Expert, Norah Levine has your covered! Her FREE class goes live on August 24th-25th, 2016. At the very least, watch it for some adorable animals! 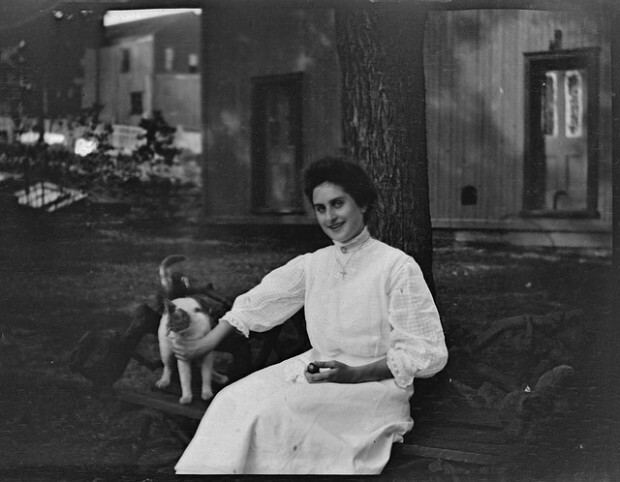 The Deseronto Archives writes that the subject, Marjorie Rathbun (1891-1966), was “the photographer’s younger sister, sitting on the bench that is also visible in HMR2-09-38b. The photograph was taken in the garden of the Rathbun family’s house on Main Street, Deseronto, Ontario.” This photo is from 1908. 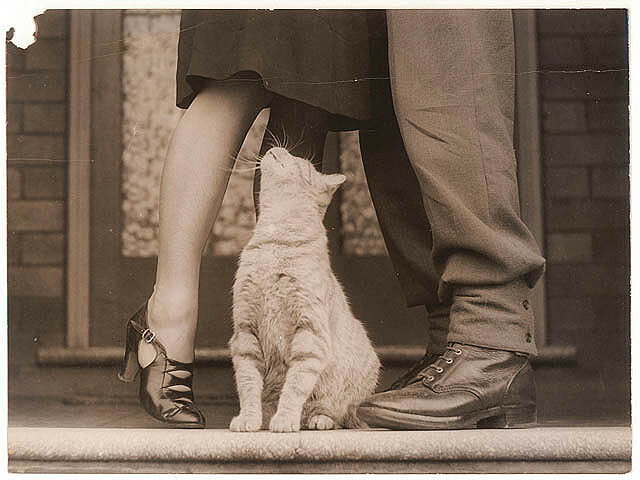 Called “Soldier’s Goodbye and Bobby the Cat,” this tender photo comes by way of the State Library of New Zealand. It’s another Sam Hood photo, and its date is noted as 1935. 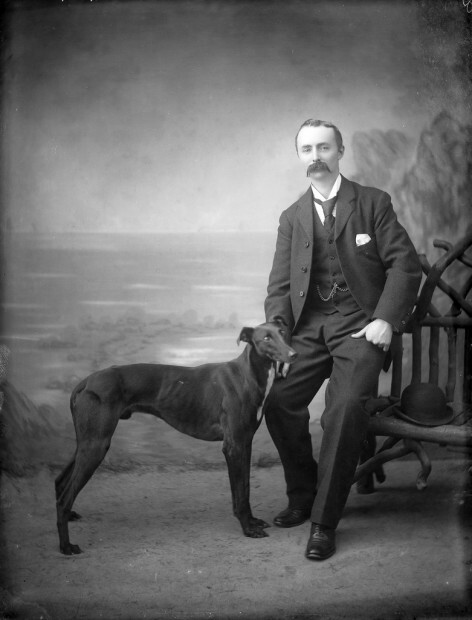 The photographer was A.H. Poole, whose collection can be seen at the NLI’s archives. The collection includes over 7,300 glass plates. 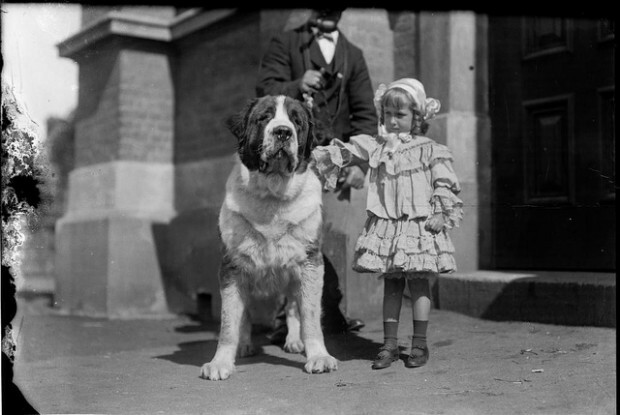 You can see more photos from this collection — which includes some pretty exceptional lifestyle photos, as well as portraiture of the time — at the NLI’s website. This photo is a classic, though little information is known about it. 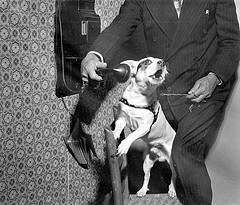 Found in the State Library and Archives of Florida, “Dog barking into the telephone” is a beloved photo for obvious reasons, but once the Internet got hold of it, its resemblance to a popular meme photo was noted pretty quickly. Florida Memory pegs the date at 1957, though the phone appears much older than that. There are few additional details available, such as who the dog was calling or whether or not it was a night or weekend call, which would have saved the dog’s owner some money. 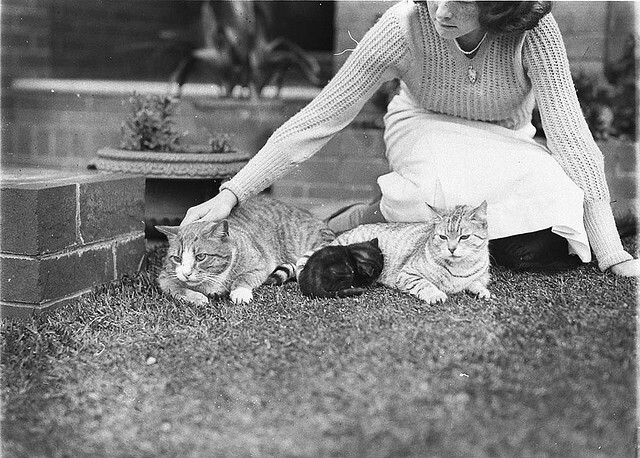 Another photo with relatively details, “Girl with two cats and a kitten, Sydney, 1930s” is another Sam Hood image courtesy of the State Library of New Zealand. This photo, also from the Florida Memory archives, looks like something CreativeLive instructor Rachael Hale McKenna might have posed…if she’d been taking photos long before she was born! Harper was a prolific photographer during his lifetime, and many of his photos are on display at the Florida State History Museum. Harper’s photos were “show Floridians in the capital city at work and play and record Tallahassee-area homes and turn-of-the-century fashions,” writes the museum. 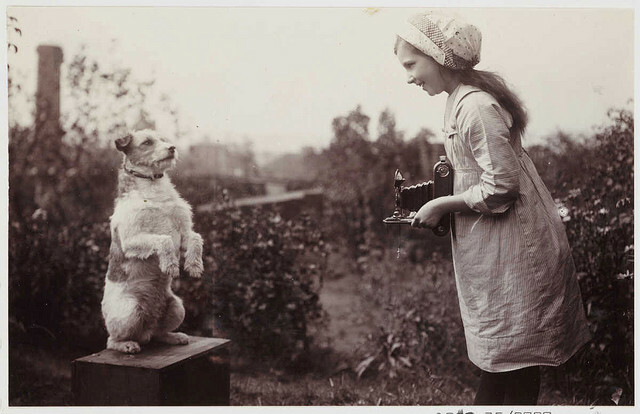 There’s very little information about this photo, which shows a budding artists photographing her dog. It’s courtesy of the National Media Museum. Wonder if she went on to take any photos we’d recognize? 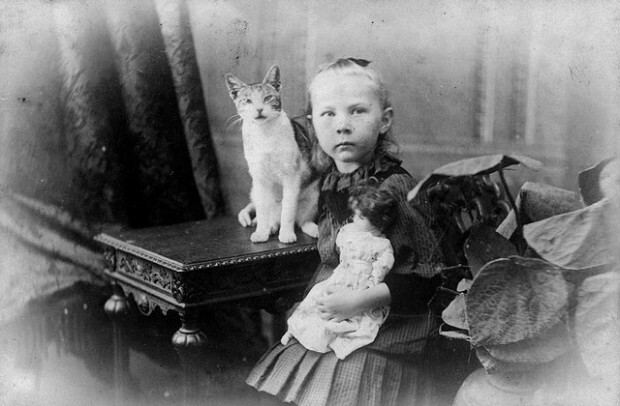 Hulda Lundager with her cat and her doll at Mt. 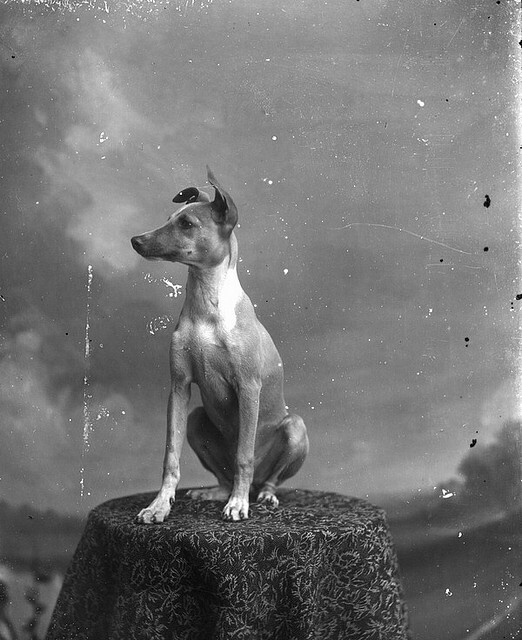 Morgan, in Queensland, Australia, as photographed by Jens Hansen Lundager, (1853-1930). The exact photo of the date is unknown. It’s courtesy of the State Library of Queensland. 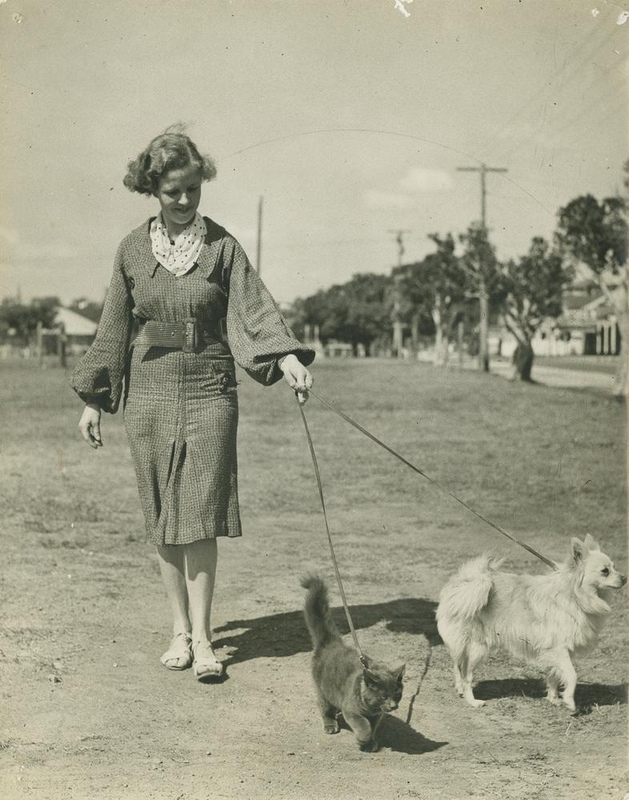 “A young lady takes both a dog and a cat for a walk whilst they are attached to leads,” writes the State Library of Queensland about this photo, by George Jackman. Jackman has an expansive photoset on Flickr; most of his photos are of Queensland life in the 1930s. He specialized in portraiture and lifestyle photography, though occasionally covered political events.